The Headland here at Whitby is shrouded in history. 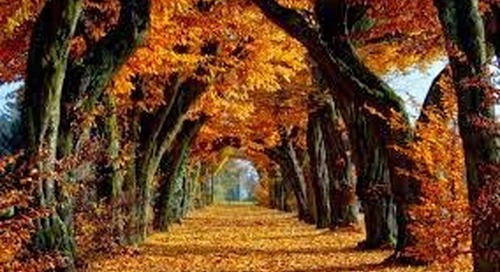 Excavations over the years have shown that the land was occupied as far back as the Bronze age. We know this because the excavations have revealed a round house within a ditched enclosure along with several objects dating from this period. It is believed that the headland here at Whitby was also at one point occupied by a Roman Signal station during the 3rd Century AD. This however has long since disappeared as the cliffs have eroded over time. After the Romans left Britain, the country was divided into a number of smaller kingdoms. Whitby came under the Kingdom of Northumbria, which during the 7th Century was the most powerful of the Anglo- Saxon Kingdoms. One of the Headland, and one of Whitby's most famous landmarks is the Abbey, or what is left of it. The first monastery here at Whitby or Streaneschalch as it was known back then, was founded in 657 by Hild, who had the support of the Northumbrian King, King Oswiu. Streaneschalch ( Whitby) soon became an important place to the Northumbrian Roayl family, as many of them were buried within the grounds here. There is not much in the way of written history about Streaneschalch (Whitby) but St Bede seems to have documented one of its most important events, not just for Whitby, but for religion too! 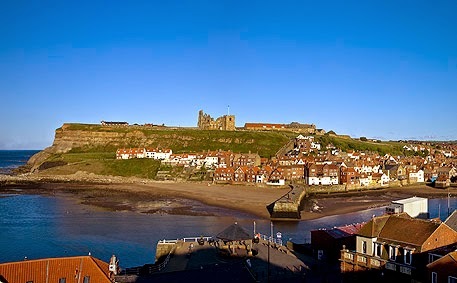 It was here during the Synod of Whitby in 664 when the rivalry between the two strands of Christianity in England, the Celtic and the Roman, came to a head. Before 664, both strands of Christianity in England differed on how priests and monks should dress and wear their hair along with other issues. The main difference between the tow was how to calculate when Easter should be celebrated each year. It was during this Synod of 664 when King Oswiu ruled that his Kingdom would calculate Easter and observe the monastic tonsure according to the customs of Rome; thus introducing the Pope and his authority over the Church in Britain. It wasn't until after the Norman conquest in 1066 that Abbey began to form in the shape of what can be seen today in the ruins. During the 13th Century a stone church was rebuilt in the Gothic style, with the rebuilding of the monastery continuing for the next two centuries until it was destroyed in the Supression of the Monasteries by Henry 8th. 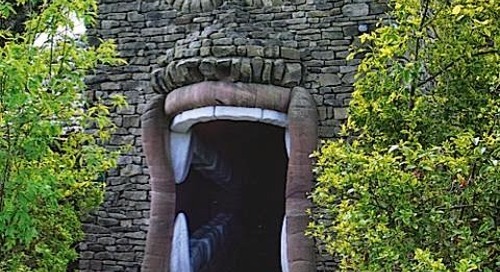 What was left was later bought by a wealthy family known as the Cholmleys, who adapted the Abbots lodgings and created a new courtyard entrance. By the 18th Century the Cholmleys had departed leaving the Abbey and it's out buildings to the elements. There was not much left but ruins by the time the First World War started, but this did not stop the Germand from shelling the port of Whitby. The ruins were also struck causing damage to what was left. Some of this was rebuilt, but the rest was left to stand as it was. The ruins now stand proudly on top of the cliff and are one of the first things you see on your way into Whitby. 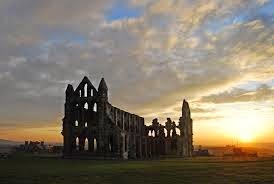 What is even better is that the ruins themselves sit only a short 20 minute stroll away from Whitby Holiday Park and can be seen from our touring field and from some of our static caravans. Whilst staying in Whitby you must make time to take a stroll among the ruins and imagine what life must have been like all those hundreds of years ago!! Whether you like history or not, the Abbey ruins, up on the headland, are definitely worth a visit!